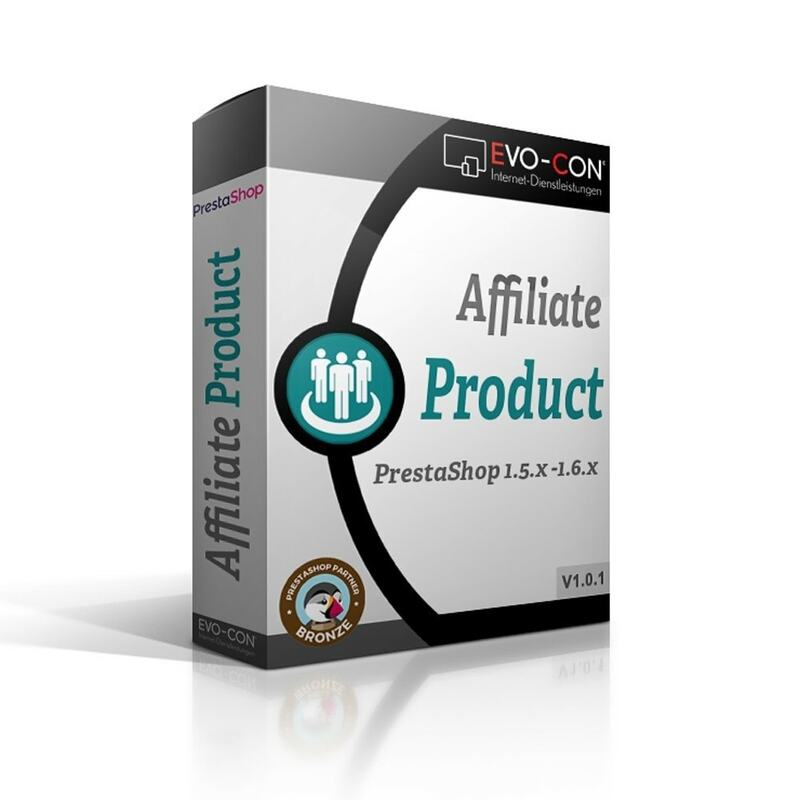 With Affiliate Product Module for Prestashop you get the possibility to easily insert affiliate products into your onlineshop. This is done by providing the functionality to change the ”Add to cart“ button of any product. 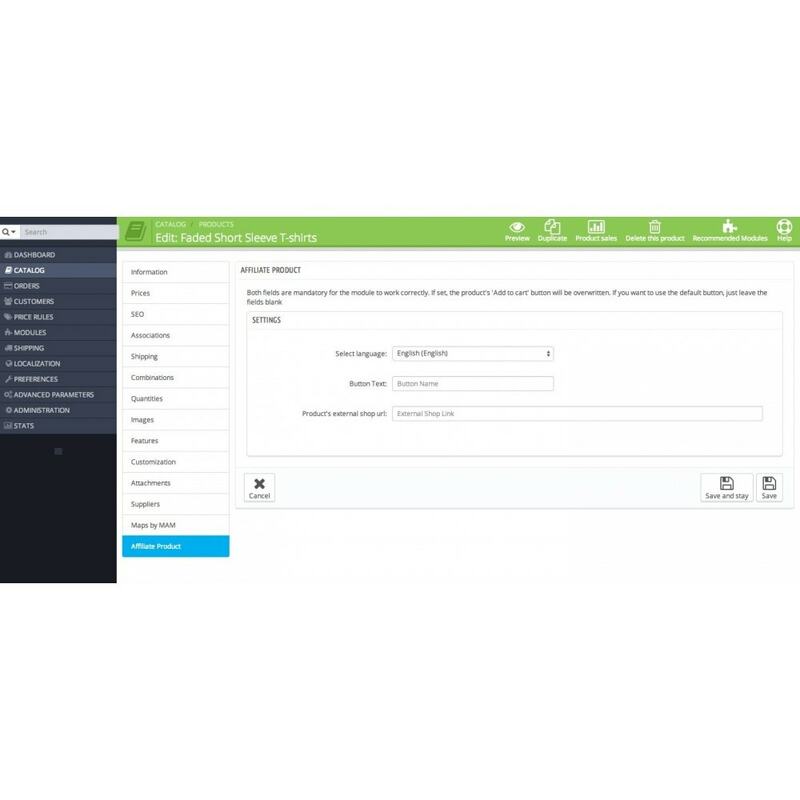 You can alter the text (capture) and the link/url of the button, which makes it possible to display products from other merchants, suppliers, manufacturers or marketplaces like Amazon. Your customers can benefit from a huge product variety in one place without leaving your shop. Click "Add new module" from the Module section in the Admin panel and provide zip file. Now start editing a product and click on the 'Affiliate Product' tab. Fill in data for both fields, ”Button Name” and ”External Shop Link”, to get the module work correctly. If you want to use the default ”Add to cart” button, just leave the fields blank. Since 2013 EVO-CON is programming Modules and Templates for Webshop-Systems. They are developed inhouse by our german programmers. With our long term experience we know what wishes and problems bother our clients – that’s we we offer professional and future-orientated PrestaShop Extensions through Modules and Templates. 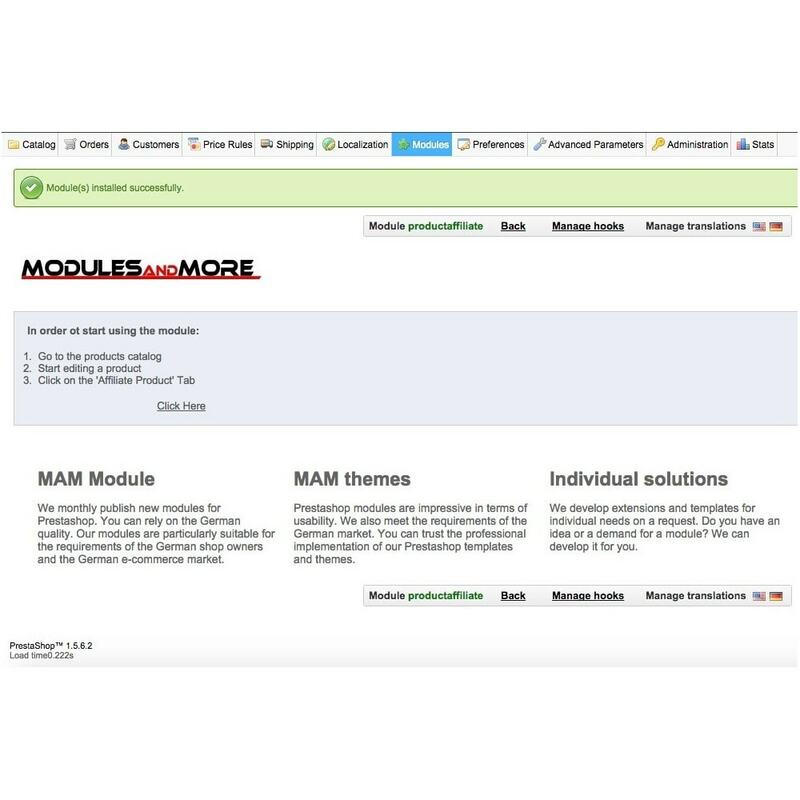 We of course also offer support for our Modules and Templates. This module shows a Google Map or OpenStreetMap for every product of your shop you want to. Further you get a page with a general map to display all your products and locations at once.